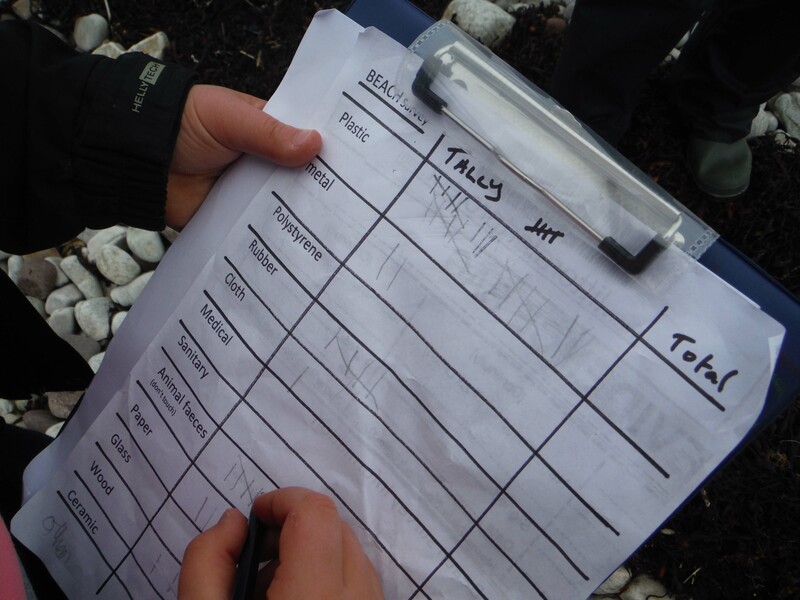 Our next shoreline survey was undertaken with 13 pupils of the Coigach primary school at Achiltibuie. All were very familiar with the local Badentarbat beach. It’s a beautiful beach facing west to the summer Isles. 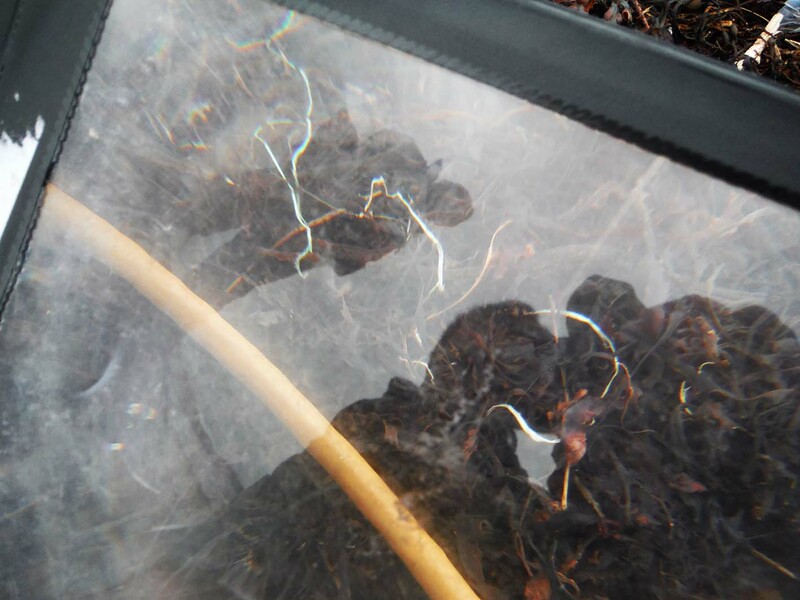 Most of the children were already familiar with the types of litter found there. The pupils their teachers and I spread out along the beach recording the objects we found on a survey sheet. 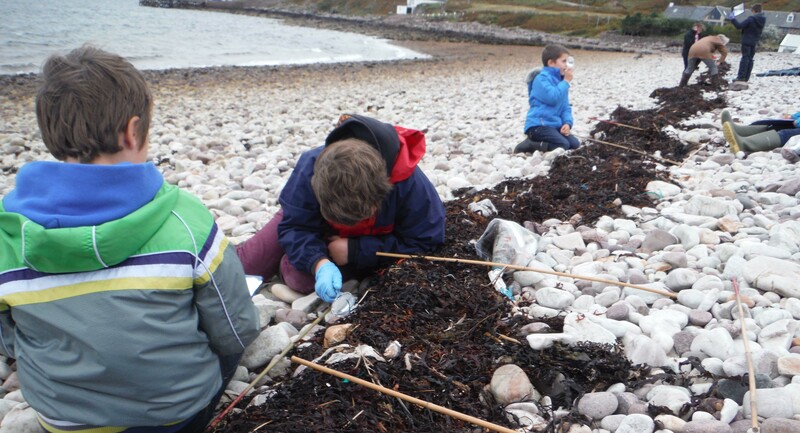 We subsequently closely examined small areas of the beach and collecting a range of objects in our evidence bags. 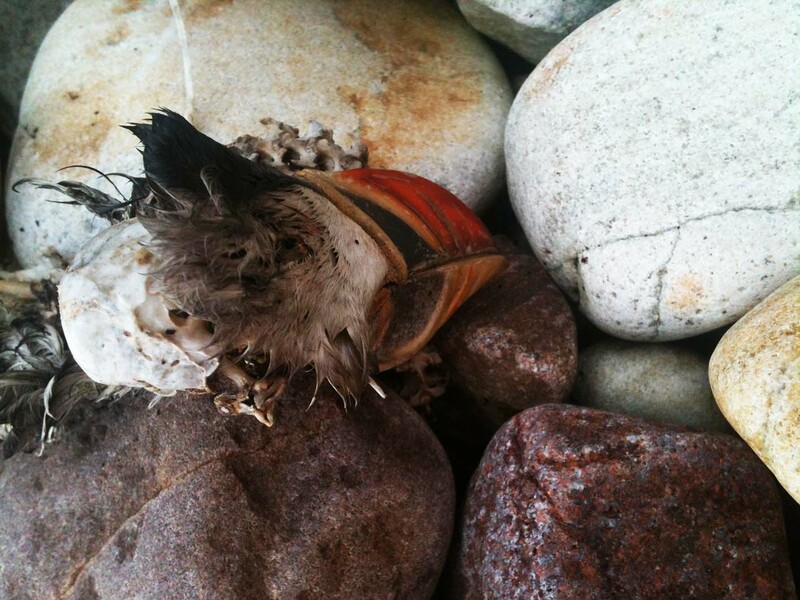 A sad find was the body of a dead puffin. This was poignant as the day before the children & I had attended an RSPB Marine Day in Ullapool and had heard about how the Puffin population is decreasing due to lack of food. The analysis of our survey showed that we had counted 273 pieces of plastic ranging from sweet wrappers, fishing nets, shopping bags, small toys, prawn boxes to a cigarette lighter. Glass and rubber objects were the next highest number of man-made finds. The evidence we had collected proved a useful starting point to discuss who might be responsible for each of the objects we had found, the washed up/dropped toys being a reminder that we are all responsible! 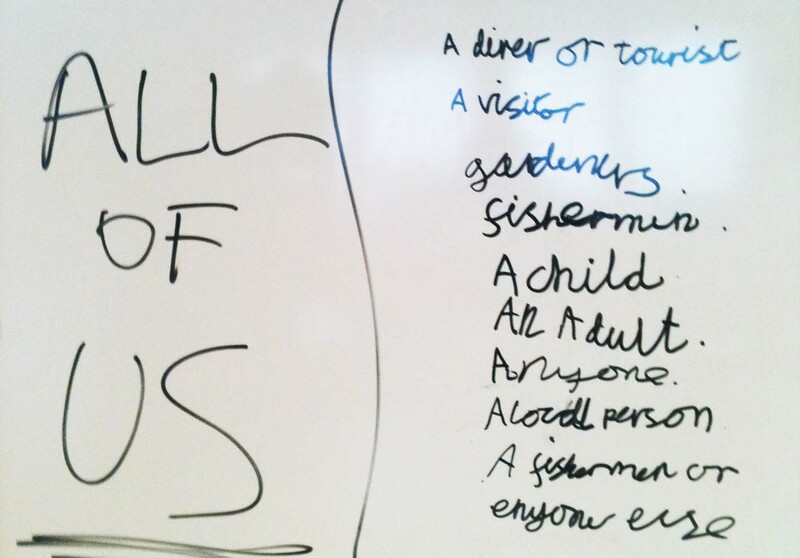 Throughout the afternoon as the teacher and I assisted pupils to write about what they had found. 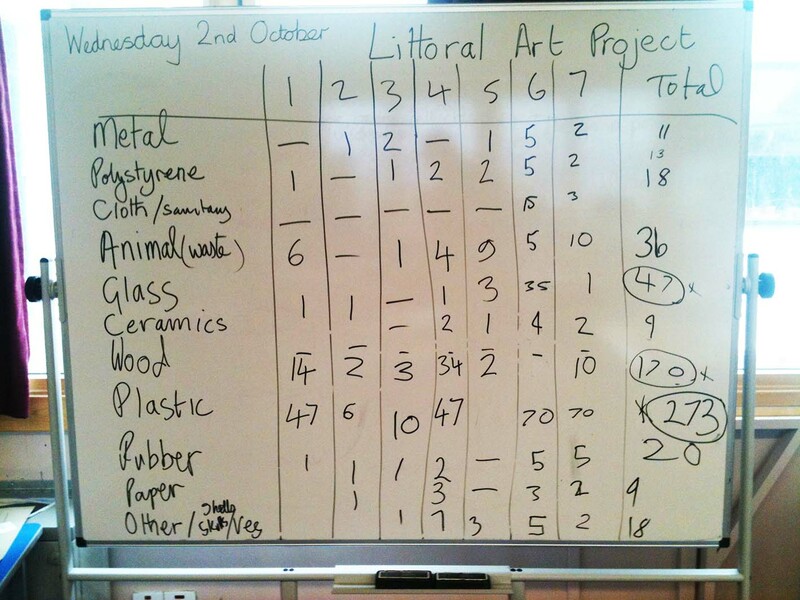 They also were asked to complete a worksheet to estimate the lifespan of different types of litter in the environment. Their answers showed that they hugely underestimated the length of time it takes for the materials we had found took to break down, some thought that leather lasted longer than plastic. Leather lasts for up to 50years whereas plastic bottles may last indefinitely. 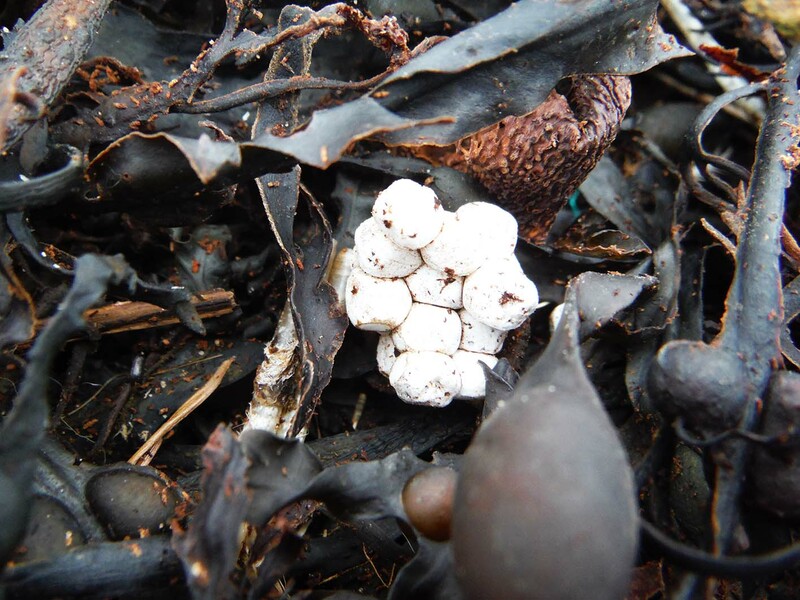 From this observation I can now see how important it is for the littoral art project to draw attention to the extreme lifespan of man-made materials.